If you are over 65 and eligible for Medicaid, you might be able to enroll in Medicare Advantage, AKA Medicare Part C. This is good news for seniors who have added benefits that Original Medicare doesn’t offer. These plans can offer extras that Original Medicare doesn’t such as dental, vision, prescription drug coverage, and gym memberships. This is all added on to the guarantee that Medicare Advantage plans must offer what Medicare offers to seniors. To learn more read the article, What is Medicare Advantage? If you qualify for Medicaid you may be able to have your Medicare Advantage premium paid for among other benefits. A federal-State funded health insurance program for those who qualify by need. Who qualifies? This is what is most important to you or your loved one. If you are considered a Qualified Medicare Beneficiary (QMB), generally, falling below 100% FPL (again depends on the state), Medicaid may cover or completely your Medicare Part A premium, Part B premium, copays, coinsurance, and deductibles, plus, and this is a big plus, in some states Medicare Part C’s premium, commonly known as Medicare Advantage. “Spend Down” is a Medicaid loophole for the medically needy, but who don’t financially qualify. What this program allows you do to is subtract your medical expenses from your income to become eligible for Medicaid. Again, this all depends on your state. To learn if your state allows for spend down call 800-930-7956. For any further questions about Medicare Advantage and Medicaid call the number above or contact Medicoverage for assistance. 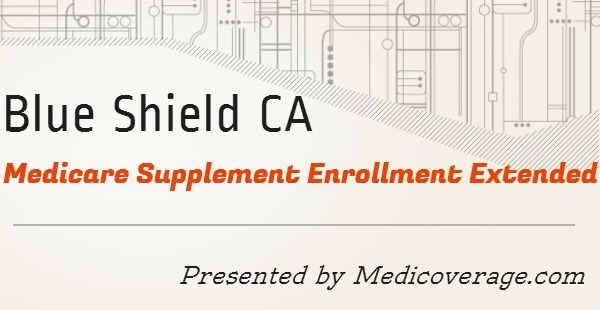 Any senior in California with an existing Medicare Supplement plan may transfer to any open Blue Shield Medigap plan with equal or lesser benefits. For current Blue Shield Medigap members you only have to complete a transfer application. For clients from a different provider you can submit a new application without having to submit a health questionnaire. Medigap offers financial protection for seniors from major health issues because it fills in the gaps that Original Medicare leaves open. Click here to learn more about Medigap. To apply today for a Blue Shield transfer go to our online application or call 800-930-7956. If you are currently receiving Social Security retirement benefits, disability benefits, or railroad retirement checks, you will be contacted a few months before you become eligible for Medicare and given the information you need. If you live in one of the 50 states or Washington, D.C., you will be enrolled in Medicare Parts A and B automatically. However, since you must pay a premium for Part B coverage, you are given the option of turning it down. NOTE: Residents of Puerto Rico or foreign countries will not receive Part B automatically. They must elect this benefit. If you are not already getting retirement benefits, you should contact the Social Security Administration about three months before your 65th birthday to sign up for Medicare. You can sign up for Medicare even if you do not plan to retire at age 65. You turned down Medicare medical insurance when you became entitled to hospital insurance (Part A). When you first become eligible for hospital insurance (Part A), you have a seven-month period (your initial enrollment period) to sign up for medical insurance (Part B). A delay on your part will cause a delay in coverage and result in higher premiums. If you are eligible at age 65, your initial enrollment period begins three months before your 65th birthday. It will include the month that you turn 65, and it will end three months after that birthday. If you are eligible for Medicare based on disability or permanent kidney failure, your initial enrollment period depends on the date your disability or treatment began. If you accept the automatic enrollment in Medicare Part B, or if you enroll in Medicare Part B during the first three months of your initial enrollment period, your medical insurance protection will start with the month you are first eligible. If you enroll during the last four months, your protection will start from one to three months after you enroll. To apply for Medicare go to the Medicare Enrollment Overview page. If you do not enroll by the end of the eight-month period, you will have to wait until the next general enrollment period, which begins January 1 of the next year. You also may have to pay a higher premium, as explained above. 1. Medicare Prescription Drug Plans. These plans add drug coverage to Original Medicare, some Medicare Cost Plans, and Medical Savings Account (MSA) Plans. 2. Medicare Advantage Plans are other Medicare health plans that offer Medicare prescription drug coverage. They include full Part A and Part B coverage, as well as prescription drug coverage (Part D). Each plan can vary in cost and drugs covered. Our Quoting Tool can help you find and compare plans in your area. Your Part D monthly premium could be higher based on your income. This includes Part D coverage that you receive from a Medicare Prescription Drug Plan, a Medicare Advantage Plan or Medicare Cost Plan that includes Medicare prescription drug coverage. If your modified adjusted gross income as reported on your IRS tax return from 2 years ago (the most recent tax return information provided to Social Security by the IRS) is above a certain amount, you will pay a higher monthly premium. Many people qualify to get assistance in paying for their Medicare prescription drug costs, but don’t know it. Most who qualify and join a Medicare drug plan will get 95% of their costs covered. For those who need additional help, there are Medicare Savings Programs available to aid in making health care and prescription drug costs more affordable. Remember, costs and coverage varies with each plan. Using our Quoting Tool can help you find and compare plans in your area. 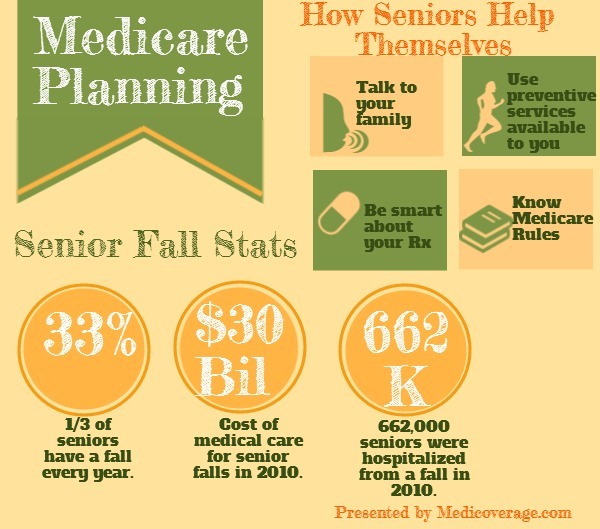 See the Senior65 Medicare Part D page for a complete overview on Medicare prescription plans. If you have other insurance, find it below to understand how it works with, or is affected by, Medicare prescription drug coverage. This is health coverage based on the current or former employment of you, your spouse, or other members of your family. If you have prescription drug coverage based on employment, the employer or union will notify you each year to let you know if your drug coverage is creditable. It is important to keep the information that you receive. If you join a Medicare drug plan, you, your spouse, or your dependants may lose your employer or union health coverage. Call your benefits administrator for more information before making any changes to your coverage. This is a Federal law that may allow you to temporarily keep employer or union health coverage after employment ends, or after you lose coverage as a dependent of a covered employee. There may be reasons why you should take Part B instead of COBRA. However, if you take COBRA and it includes creditable prescription drug coverage, you will have a special enrollment period to join a Medicare drug plan without paying a penalty when the COBRA coverage ends. 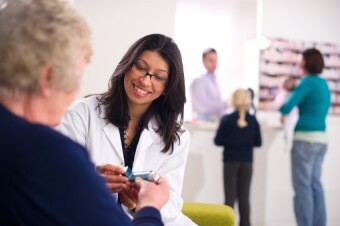 Medigap policies are no longer sold with prescription drug coverage. If you currently have drug coverage under a Medigap policy, you may keep it. However, you may opt to join a Medicare drug plan instead, because most Medigap drug coverage isn’t creditable. If you join a Medicare drug plan, your Medigap insurance company must remove the prescription drug coverage under your Medigap policy and adjust your premiums. Call your Medigap insurance company for more information. The types of insurance listed below are all considered creditable prescription drug coverage. If you have one of these types of insurance, in most cases, it will be to your advantage to keep your current coverage. If you join a Medicare drug plan, you can keep your FEHBP plan, and your plan will let you know who pays first. For more information, contact the Office of Personnel Management at 1-888-767-6738, or visit the Office of Personnel Management website. TTY users should call 1-800-878-5707. You can also call your plan if you have questions. You may be able to get prescription drug coverage through the U.S. Department of Veterans Affairs (VA) program. You may join a Medicare drug plan, but if you do, you can’t use both types of coverage for the same prescription. For more information, call the VA at 1-800-827-1000, or visit the VA website. TTY users should call 1-800-829-4833. Most people with TRICARE who are entitled to Part A must have Part B to keep TRICARE prescription drug benefits. If you have TRICARE, you aren’t required to join a Medicare drug plan. If you do, your Medicare drug plan pays first, and TRICARE pays second. If you join a Medicare Advantage Plan with prescription drug coverage, TRICARE won’t pay for your prescription drugs. For more information, call the TRICARE pharmacy contractor at 1 877 363 8779, or visit the Tricare website. TTY users should call 1-877-540-6261. If you get prescription drugs through an Indian health pharmacy, you pay nothing and your coverage won’t be interrupted. Joining a Medicare drug plan may help your Indian health provider with costs, because the drug plan pays part of the cost of your prescriptions. Talk to your benefits coordinator - they can help you choose a plan that meets your needs and explain how Medicare works with your health care system. A Medicare Advantage Plan is another health plan choice you may have as part of Medicare. Medicare Advantage Plans, sometimes called “Part C” or “MA Plans,” are offered by private companies approved by Medicare. Medicare pays a fixed amount for your care every month to the companies that offer Medicare Advantage Plans. These companies must follow rules set by Medicare. However, each Medicare Advantage Plan can charge different out-of-pocket costs, and they can have different rules for how you obtain services (such as whether you need a referral to see a specialist). These rules can change each year. Medical Savings Account (MSA) Plans—A plan that combines a high deductible health plan with a bank account. Medicare deposits money into the account (usually less than the deductible). You can use the money to pay for your health care services during the year. In all types of Medicare Advantage Plans, you’re always covered for emergency and urgent care. Medicare Advantage Plans must cover all of the services that Original Medicare covers, with the exception of hospice care. Original Medicare covers hospice care, even if you’re in a Medicare Advantage Plan. Medicare Advantage Plans are not supplemental coverage; they may offer extra coverage, such as vision, hearing, dental, and/or health and wellness programs. Most include Medicare prescription drug coverage (Part D). For your consideration: If looking for more comprehensive coverage, Medicare Supplemental, AKA Medigap, offers the greatest financial protection for seniors. To learn more about Medigap go to the Medigap Overview Page for Seniors. Not all Medicare Advantage Plans work the same way, so before you join, take the time to find and compare Medicare health plans in your area. You can find quotes and compare plans easily using our Quoting Tool. If you have Part B, you pay a Part B premium each month. Most people will pay the standard premium amount. Social Security will contact some people who have to pay more depending on their income. If you don’t sign up for Part B when you are first eligible, you may have to pay a late enrollment penalty. Ready to sign up for Medicare? Go to our Medicare Enrollment page. Preventive Services—Health care to prevent illness (like the flu) or detect it at an early stage, when treatment is most likely to work best. Part A is hospital insurance that helps cover inpatient care in hospitals and skilled nursing facilities, as well as hospice and home health care. You are 65 or older, entitled to (or enrolling in) Part B, and meet the citizenship or residency requirements. Note: Staying overnight in a hospital doesn’t always mean you’re an inpatient. You are considered an inpatient the day a doctor formally admits you to a hospital with a doctor’s order. Being an inpatient or an outpatient affects your out-of-pocket costs. Always ask if you’re an inpatient or an outpatient. Medicare plans on taking strong action to reduce payment errors and keep waste, fraud, and abuse at low levels. In addition, the President has made a commitment to reduce Medicare fraud by 50 percent before the year 2012. With the Affordable Care Act, an historic $350 million investment has been made to enforce this commitment. The financial boost will help prevent, detect and fight fraud in Medicare, as well as Medicaid and the Children’s Health Insurance Program. In 2011, if you hit the prescription drug donut hole, you will get a 50% discount on brand-name medications. Every year after, the cost of prescription drugs in the donut hole will be reduced, until there’s complete coverage of the donut hole in 2020. Between now and then, you will get continuous Medicare coverage for your prescription drugs. The coordination of care between doctors and the overall quality of care will be improved. This way, you will be less likely to experience preventable and harmful re-admissions to the hospital for the same condition. Hospitals will have new, strong incentives to improve your quality of care. Starting in 2014, the Affordable Care Act will offer additional protection for Medicare Advantage Plan members. Such measures include taking strong steps that limit spending on administrative costs, insurance company profits, and things other than health care. 1.Your existing guaranteed Medicare-covered benefits will not be reduced or taken away. Neither will your ability to choose your own doctor. 2.If you had Medicare prescription drug coverage and had to pay for your drugs in 2010, as a result of the coverage gap known as the “Donut Hole,” you received a one-time, tax free $250 rebate from Medicare to assist in paying for your prescriptions. 3.Beginning this year, if you have high prescription drug costs that put you in the donut hole, you receive a 50% discount on covered brand-name drugs while you’re in the donut hole. Between 2010 and 2020, you will continue to get Medicare coverage for your prescription drugs. The donut hole will be closed completely by 2020. 4.Medicare covers certain preventive services without charging you the Part B coinsurance or deductible. An annual wellness exam will also be offered to you free of charge. 5.The life of the Medicare Trust fund will be extended to at least 2029. This 12-year extension is a result of reduced waste, fraud, and abuse, as well as a slowing cost growth in Medicare, which will provide you with future cost savings on your premiums and coinsurance. If you have any questions, click here to learn more about medicare changes from the new healthcare reform. There is no change in the plans Aetna offers in Illinois.They will continue to offer Plans A, B and F. There is, however, a new application which now contains a comprehensive Producer Certification section (Section 9). This must be used for all policies effective June 1, 2010 or later. Additionally the Outline of Coverage was updated to comply with MIPPA and include rate information. When it come to guaranteed issuance there were really no new changes except when necessary to reflect state requirements although in the Notice to Applicant does clarify that pre-existing condition limitations may apply. As mentioned before Aetna medigap rate sheets are now included as part of the Outline of Coverage. To learn more about senior supplemental, visit our medigap page. If you would like to apply for Aetna senior coverage in Illinois please contact Medicoverage. Medigap Modernization has been a hot topic in the media lately, and for good reason. Medigap, which is another name for Medicare supplemental insurance, is changing on June 1st, 2010 and the coming changes have potential for significant impact on seniors who are currently in the market for Medigap insurance. There are 6 key facts that you must know now in order to make the best decision regarding your current or future Medigap policy. Fact 1: “Medigap Modernization” is the nickname for the changes that Medigap will undergo starting on June 1st, 2010. Though the changes that will affect consumers go into affect this year, the modernization process started much earlier. As a requirement of the Medicare Prescription Drug Improvement and Modernization Act of 2003 (MMA), the National Association of Insurance Commissioners (NAIC) assembled a task force to improve Medigap plans and benefits. This task force included state regulators, consumer advocates, industry representatives, CMS representatives and other interested parties. They developed a modernization proposal that was approved by the NAIC in 2007. Then on July 15, 2008, Congress enacted a law called the Medicare Improvements for Patients and Providers Act of 2008 (MIPPA). MIPPA included direction to the Secretary of Health and Human Services to implement modernization proposal developed by the NAIC-led task force. That modernization proposal, referred to in the MIPPA law as the NAIC Medigap Model Regulations, includes all the changes to Medigap that will take place on June 1, 2010. Fact 2: There will be fewer total plans available for sale. There are currently 12 senior medical insurance plans for sale and these are named for the letters of the alphabet A through After June 1st there will be 10 plans. By clicking on the link below, you can see a PDF table of the plans available for sale through May 31st, 2010. Starting on June 1st, plans E, H, I and J will no longer be offered for sale. The PDF table below summarizes the new plans and their benefits available starting in June. Fact 3: Two new Medigap plans will be sold. Though four plans will be eliminated (see Fact 2 above), two new ones will be available for sale. Plans A through N will be available as Medigap plans. The PDF table above shows a summary of all the plans and their benefits, including these two new offerings. Fact 4: Some Medigap benefits will change. Some changes will affect all policies, while others will affect only one or a few Medigap policies. The best way to understand how the plans will change is to print out the PDF tables (above) and compare them side by side. That way you can see how each plan has changed or stayed the same. For example, you’ll see that the May 2010 Medigap Plan D covers >“At Home Recovery expenses while the June 2010 Medigap Plan B does not. If you are interested in reading about some of the nitty-gritty details of the changes, see our article titled . Fact 5: Existing Medigap policyholders may keep their old policies. This means that if you currently have one of the plans that is slated to be discontinued and you like it, you can keep it. This also means that if you see a plan that is currently offered for sale that will be discontinued after June 1st, you should buy it now. Fact 6: There is no single Medigap plan that is the best for everyone. According to the Medicare Rights Center, the most popular Medigap plans are currently C and F, because they cover major benefits and tend to be less expensive than some of the other plans. A quick comparison of the pre and post-June 1st Medigap charts (above) will confirm that these two plans will stay fundamentally the same. Ready to sign up today? Go to the Medigap Overview Page. However, it is extremely important to examine all of the plans while keeping in mind which benefits are most important to you and which you can do without. As with most decisions, the decision about which Medigap plan is right for you is all about trade-offs. What can you give up in order to have more of what you value most? Next steps to choosing the right Medigap plan. To obtain quotes on any Medigap plan, visit our quote engine and enter your zip code in the box at the top of the page. (All other information is optional.) Then click on the button on the bottom of the page. Once you do, you will be given a list of quotes on Medigap policies available in your area. From there you can shop based on price, provider reputation, and customer reviews. If you would prefer to have personalized help in sorting through these changes and selecting the Medigap plan that is right for you, contact a licensed Medicoverage agent. We are here to help.